It's the start of another exciting year of travel and we're thrilled to announce our top Silk Road Destinations for 2019. We've got magnificent UNESCO World Heritage sites and legendary cities, remote Silk Road villages and bustling bazaars, wind-swept steppe, breathtaking mountains, crystal clear lakes, and destinations along the roads less traveled. 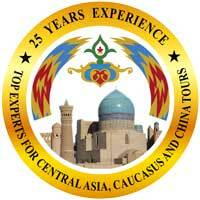 Whatever your interest, join us for the pure joy of travel in the lands of Central Asia, the Caucasus and western China. Bukhara is one of the most fascinating ancient cities of Central Asia. In 1997 it celebrated its 2,500th anniversary. For centuries it was a cultural, scientific, and economic center of the Great Silk Road, renown for its scholars, saints and scientists. It offers a heady mix of silk and spice; beautiful fabrics and embroideries and savory plov rice, sizzling beef shashlik and hearty lagman noodles. Take in an evening performance of national costumes and authentic cuisine at the Devon Begi Madrassa. Relax in a traditional 14th c. Uzbek hammam, the world's oldest operating bathhouse and sauna, take in Uzbek style horseback racing and competitions at the hippodrome, or explore 2000 UNESCO sites. The Kalyan Minaret dates back to 1127, the symbol of the city. Legend says Genghis Khan was so struck by its beauty, he left only this minaret standing. The city’s subdued desert hues and centuries-old buildings exude their own exotic air of ancient culture in this holy city of Uzbekistan. The annual Silk and Spice Festival is held in May and craftsmen and tourists by the thousands come from all over the world to display their wares and celebrate the event. Parade participants in traditional dress walk through the historic core from the Ark citadel - the 1st c. winter palace of the emirs to the Lyabi Hauz area, Skilled artisans in the traditional fine arts of wood carving, jewelry making, copper chasing and elaborate embroidery draw visitors and student artists from around the world. Boutique hotels and restaurants, often in beautifully restored buildings, feature lovely traditional décor and a warm welcome. Hospitality here is “ranked higher than courage” and it’s a delightful, old fashioned kind. Along the Silk Road routes leading through the Kyzyl Kum desert from Bukhara to both Khiva and Shakhrisabz are opportunities to experience nomadic life with yurt camps, camel rides, stargazing and traditional music. Samarkand is one of the oldest inhabited cities in the world, founded by Persians, and trading hands between kingdoms and conquerors, blossoming as a center of trade, learning and culture on the route between China and the Mediterranean. Alexander the Great remarked that “Everything I have heard about Samarkand is true. 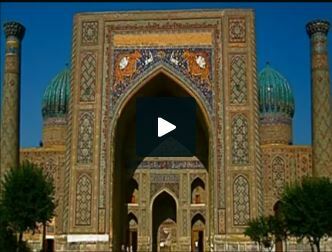 Except that it is more beautiful than I ever imagined.” Legends surround Samarkand history. The first paper mill in the Islamic world was supposedly constructed here after two Chinese prisoners revealed the secret of papermaking. You can still visit a traditional mulberry paper making workshop here. Emir Tamur, the hero of Central Asia (known in Europe as Tamerlane) transformed Samarkand into his royal capital with magnificent architecture and displays of his unprecedented ambition. Registan Square stands at the heart of the old city, surrounded on three sides by majestic madrassas; the Ulugbek, Sherdor, and Tilya Kori all decorated with bright turquoise tiles, glazed mosaics, and marble carvings. An iconic landmark, it draws thousands of tourists every day. The Tilya-kori will take your breath away. Meaning “decorated with gold”, the trompe l’oeil domed ceiling illuminates the gorgeous cerulean patterns of the main entry. Wait for a quick minute to be alone in a setting worthy of Scheherazade 1001 Nights! The Bibi-Khanym Mosque is one of the most impressive buildings in Central Asia, commissioned by Timur around 1400 for his new capital city. The outer walls are nearly 200 yards long, and the entire building is covered with gorgeous mosaics in different colors and patterns and restored in 1974 by the Uzbekistan government. Tamerlane’s own Gur-E-Amir Mausoleum and the opulently decorated Shah-i-Zinda are favorite destinations for local visitors as well. Samarkand, with its incomparable cultural sites has a pleasant climate with hot dry summers, mild winters, and generally sunny skies. 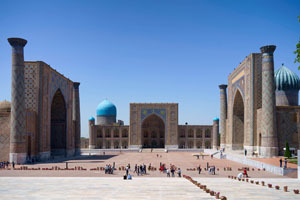 It is no wonder that Samarkand has been called the ‘Pearl of the Muslim World’ and the ‘Rome of the East. Russia’s northern capital Saint Petersburg is a stunning heritage city that has captured the hearts of millions of tourists with its European style architecture, imperial history, bridges and canals. Founded by Peter the Great (whose equestrian statue dominates Senate Square), this “Venice of the North” is a paradise of palaces and churches, gardens and galleries. The incredible Hermitage Museum consists of six buildings, including the Winter Palace, a baroque masterpiece and former residence of the Tsars. Inside is one of the greatest collections of art in the world. And take your kids: outside the Hermitage, imperial Russian nobles wait to greet you and send you on a carriage ride around Palace Square! Only five minutes away, the 5-domed Church on Spilled Blood is an elaborate example of Russian Orthodox architecture. The interior of the 19th century St. Isaac’s Cathedral required over 900 pounds of gold and 15 tons of malachite. 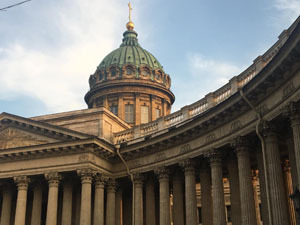 Filled with ancient icons and soaring cupulas, it’s an art lover’s dream and there’s a breathtaking view of the city from the top of the colonnade. Just a short trip outside the city limits, is the small town of Pushkin. Don’t let its size fool you: you will want to explore every inch of this Tsar's’ Village! Next-door to the Lyceum – where, by the way, Pushkin studied is Catherine’s Palace, a stunning sky blue baroque summer mansion. The astonishing beauty of the interior includes the Amber Room, re-constructed from six tons of pure amber. Have a theory about the mysterious disappearance of the original amber? It was never found after being looted by Nazi soldiers. On the way back to the city, you can see the WWII artillery posts memorializing the siege of Leningrad. St. Petersburg introduces you to the warm, artistic side of Russia, leaving you determined to discover more about the diverse history and culture of the country. Near Khiva, lies an oasis on the caravan routes in the far west desert of Uzbekistan, this walled medieval city summons up all the magic of a starry desert night. Explore the nearby destinations! A short flight from Tashkent gets you to Urgench to visit the world-class Savitsky Collection of “Forbidden” Russian avant-garde art. The story connected to this museum is a terrific tale of one man’s secret mission against Soviet-style repression. Also easily accessible is the 4th c. BC earthen fortresses at Ayaz Kala, a truly fascinating archaeological exploration. 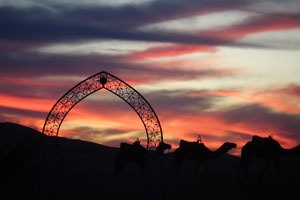 Stay overnight in a yurt camp in the desert, ride camels, and enjoy a performance of traditional desert music under the stars. If mountain adventure is your idea of heaven, a trip to the Tianshan Mountains in Kyrgyzstan, is imperative. 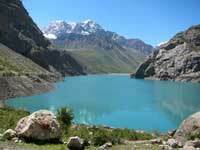 Over eighty percent mountainous, Kyrgyzstan boasts some of the highest altitudes and the second largest mountain lake in the world. Trekking, hiking and rafting opportunities abound through alpine pasture and valley, windswept passes and glaciers, and the the picturesque gorges and Soviet era summer retreats near Lake Issyk Kul. There’s a statue of Lenin still commanding one view. An area of great biodiversity and amazing landscapes, some eighty different nationalities live here and you will never find a warmer welcome, be it in a yurt in the valleys or in a family home in the capital of Bishkek. Horses are an integral part of the Kyrgyz culture and traditional games and competitions on horseback are exciting events not to be missed! Sarmishsay, or the Sarmish Gorge, is a beautifully scenic canyon in Uzbekistan not far from the city of Nurata. Sarmishsay is famous in Central Asia for both its rugged natural beauty and for its more than 4000 ancient Bronze Age petroglyphs. Some are single petroglyphs and some are scenes with people, hunters, and bulls, mountain goats and boars some of which are now extinct. The canyon is not well-suited for settlement, but it is thought that ancient peoples may have used Sarmishsay for rituals. In addition to petroglyphs, the area has ancient quarries, mines, burial mounds, and pagan altars. There is a cave in Sarmishsay with multiple underground rooms and tunnels that system may have functioned as a naturally insulated building. An excellent way to tour Sarmishsay is to stay at the camel farms north of Nurata. One can travel to Sarmishsay on a two-humped Bactrian camel in the Kyzyl Kum desert, a traditional mode of transportation in Uzbekistan! Kyzyl Kum means ‘red sand,’ and the sand dunes and oases stretch across the borders of Uzbekistan, Kazakhstan, and Turkmenistan. Stay in traditional Central Asian yurts, the round tent-like structures colorfully decorated with traditional textiles, and enjoy a taste of fresh kumis, a drink made from mare’s milk. Tbilisi has been the capital city of Georgia since the 6th century and part of the Silk Road route between Europe and Asia. It exemplifies the blend of cultures here with its mix of European city planning, Soviet and medieval architecture, and it's rich heritage of art and cuisine. Georgia is hot on the list of foodie destinations and thousands of years of viticulture. This gorgeous city has a combination of Boutique and Luxury 5 star hotels. The best time to travel is from April till November. Mongolia really is everything you’ve ever heard of! From the city of Ulaanbaatar, vast tracts of steppe and Gobi desert stretch to the horizon, under skies of deepest blue, and pink-cheeked smiles to welcome you! The Gobi offers incredible scenery and stunning sunsets. The Mongolian Naadam festival in summer is a celebration of all things nomadic dating back to the times of the Mongol armies when athletes, soldiers and monks all participated in games and ceremonies. 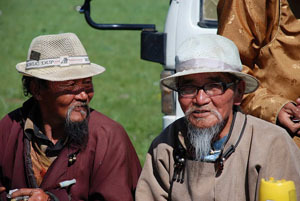 There are exciting horseback competitions, traditional wrestling and archery, and food, music and crafts to round out this exploration of Mongolian culture. Experience an overnight stay in a ger camp under the blazing stars, a camel ride in the Gobi desert, and expeditions to singing dunes and flaming cliffs! 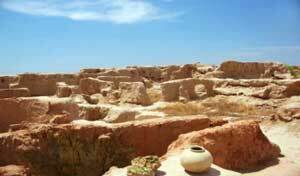 A center of ancient history and civilization, Merv is one of the oldest Silk Road city sites of Turkmenistan. A UNESCO Heritage Site, ancient caravans started towards Iran and Turkey from its gates. Once known as the "Queen of Cities", its ruins stand witness to history. Over 5000 years of civilization awaits you at the archaeological sites of Merv. Explore the ruins of Gyz Gala merchant’s house, and the Buddhist Stupa and Monastery. Remote and magnificent Gonur Tepe is an archaeological jewel of Turkmenistan. Located only 60 km from Mary city in the dusty Karakum desert, it was a centuries-old capital of Margush/Margiana, a Bronze period site and center of Zoroastrianism. At 2700 years old, Kulyab city was the cultural center of the Samanid empire. You can explore the holy Mir Said Hamadoni and the Kulyab memorial complexes and the Guorghon Teppa ruins. Located 200 km from Tajikistan’s capital city Dushanbe, it’s the hometown of president Emomali Rahmonov. There’s a bazaar to explore and hospitable places to share the country’s national dish of Pajiki Pilaf. The second-largest city in Tajikistan, Khodjand, also called Khojand or Xojand, lies along the Syr-Darya river and is the industrial and cultural center of the northern region of the country. Khujand enjoys a mild climate and ideal location in the lush Fergana Valley. Green, mountainous landscapes characterize the city with parks and public gardens, historical and cultural memorials, and it’s known for its delicious grapes. 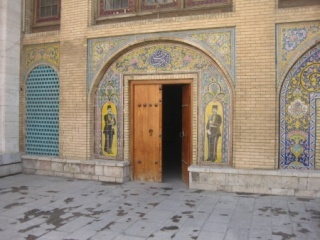 Khodjand offers a rich history as well. This was as a well-traveled road to Samarkand along the Silk Road. 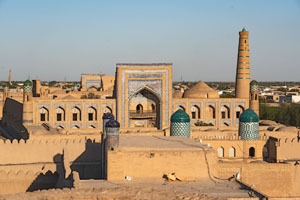 The city enjoyed tremendous economic prosperity in ancient times, as evidenced by sprawling palaces, grand mosques, and a citadel, all of which were destroyed by the Mongols in the early 13th Century. 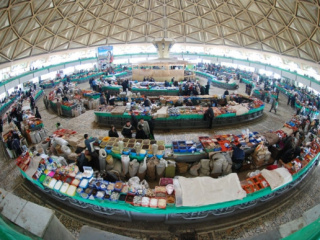 The well-known Panjshanbe Market was once one of the largest markets in Central Asia. The recreated 7th c. fortress and Archaeology Museum are big draws for visitors. Adventure to Morocco! Discover the classical Imperial city of Marrakesh,its UNESCO Heritage Sites, majestic palaces, ancient mosques, and covered markets. Explore rural villages, traditional life and the grand Sahara Desert. Enjoy stays at charming boutique riads and hotels in Marrakech. Morocco is the perfect destination for couples and families looking for history, fabulous cuisine and global vision in 2019. 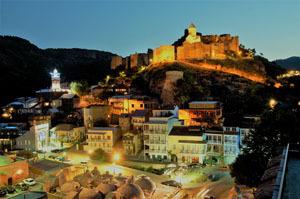 A former colony of France, Portugal and Spain, Morocco retains remnants of its African origins and European heritage. Moroccan cuisine is the culinary star of North Africa. Being at the crossroads of many civilizations, the cuisine and architecture of Morocco is a mélange of Arab, Berber, Moorish, French, Middle Eastern, Mediterranean African, Iberian, and Jewish influences. Visit the Majorelle Gardens and the Koutoubia Mosque before shopping at the Old Spice Market. Don’t miss the opulent 19th c. El Bahia Palace, La Mamounia Gardens and Le Musee Photographie. There are chef’s classes, hikes in the Atlas Mountains and dining with local Berbers.